If you’ve had a wedding, or been a part of one you know it can be…a bit of a circus at times. Now imagine a wedding day where the bride and groom can just focus on each other. All of the romance and significance of starting a marriage without being pulled in a million directions. There is something so special about the magic of a wedding without any of the distraction. That is what an elopement is like, and I have to say I’m just a little bit jealous we didn’t elope when we got married. 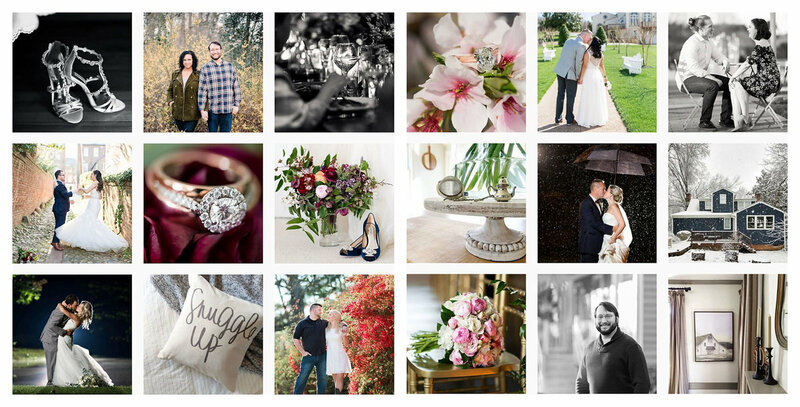 Melissa and Gus were married at the Inn at Meander Plantation on the first perfect day of fall with more mountains than people looking on, but it was everything. They took turns getting ready in the “Summer Kitchen” of an estate that was originally built in the 1700s. We were completely charmed by the restorations and the grounds of this historic wedding venue that also function as a working farm and inn. Eric and I have had the pleasure of getting to know them over the past year, and we were looking forward to their wedding in 2017. But, when they told us they wanted to elope we knew instantly that it was the right decision for them. Looking at these pictures and thinking about that day my heart is so full. Melissa and Gus are both such good hearted, hilarious, considerate, amazing people. They’re best friends who compliment and challenge each other, which in my totally biased opinion is the recipe for a great marriage. Here’s a little preview of their day.